Canela granite is quarried in Brazil. 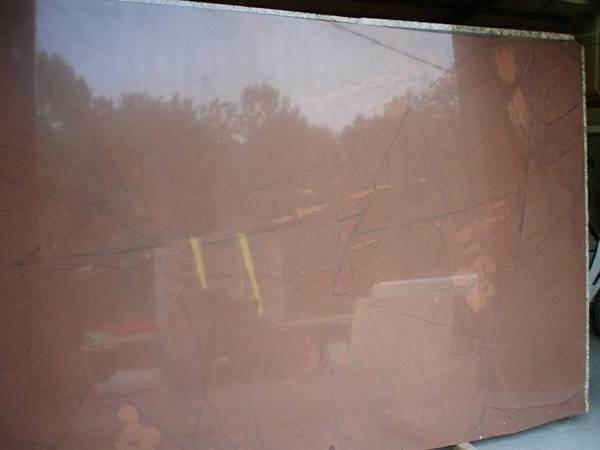 It is a mahogany stone with beige and brown veining. The rich coloring of Canela is beautifully highlighted with dark brown and beige veining, providing any room with a warm and cozy look and feel. It typically has a uniform color tone with very little variation, and an overall medium movement so it is not overpowering, and blends into a room rather than overtaking it. The coloring of Canela granite doesn’t vary too much in different areas with different lighting conditions. As a general rule, a lot of natural light highlights the colors of any stone. If you have medium stained or painted kitchen cabinets the overall effect is a high end feel with a natural flow.